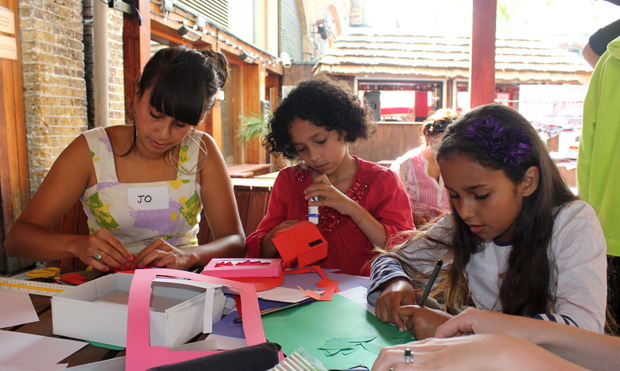 Last week, as part of Hellohead, we put on a mask-making workshop for some of the kids involved in the exhibition. We got elbow deep in coloured card and the kids created an array of different monsters, robots and animal characters. They then got to screen-print their own birth certificates with Zeena before being photographed with their beautifully designed masks. It was a really fun morning with some fantastic kids. Big thanks to Rosie and everyone else who helped out.